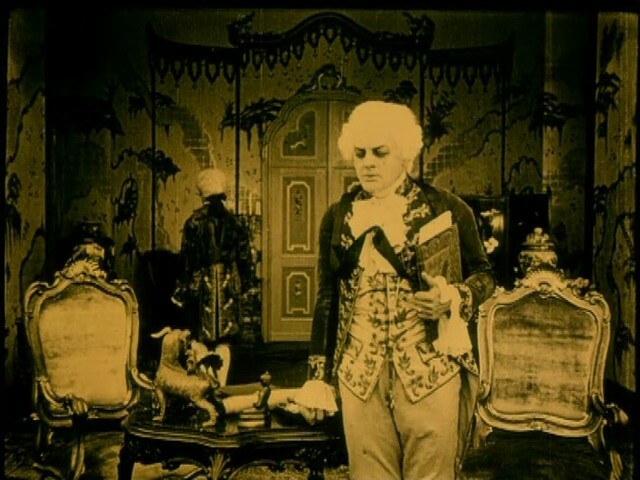 The great German actress Pola Negri plays the title character, a poor seamstress who becomes the courtesan of King Louis XV (Emil Jannings), and forces him to promote her secret lover to lieutenant in the royal guard so that he will be close to her. The story ends in tragedy for the lovers, but also a Bastille Day triumph. Though Lubitsch’s famous “touch” is not yet in evidence, he does give a certain lightness to the usually heavy and stuffy costume genre. For decades afterwards, most costume movies would drag along and bore generations of filmgoers who would pretend to be enlightened. This time, there’s no pretending. Part of the reason for this lightness is the stripped-down sets. 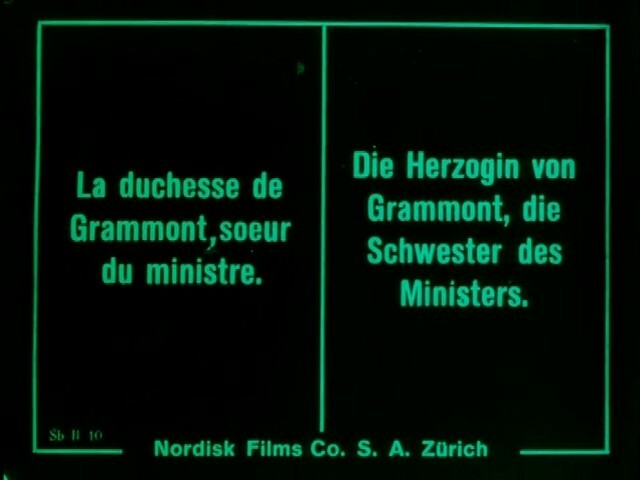 Lubitsch rarely shows any wide shots of great opulence. But when he does, it counts for more than just showing off. 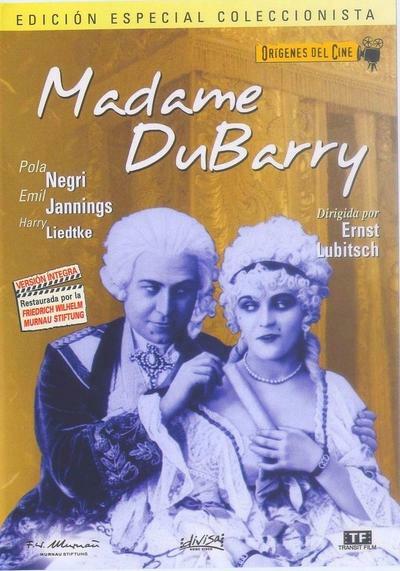 A great example is in the scene where Negri meets Mr. Dubarry, the man who she will eventually marry. She’s dining with a soldier who is romantically interested in the poor seamstress. Dubarry pays a surprise visit and she hides behind a partition. She attempts to tease and tickle her date without attracting the attention of the unwanted guest. 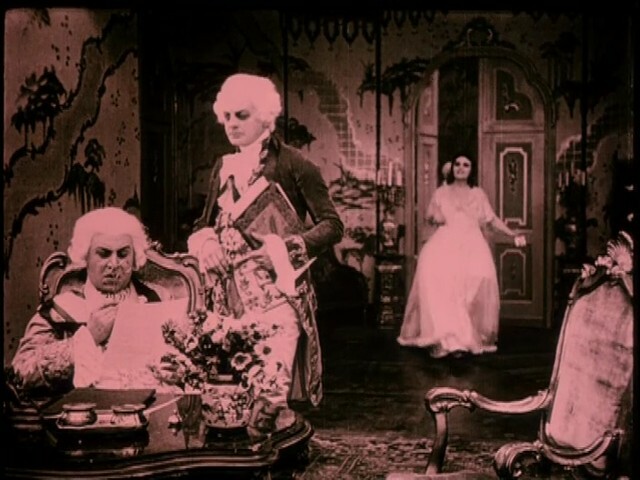 Lubitsch lets the teasing go on for a few minutes before revealing that Dubarry can see the entire episode in a conveniently placed mirror.